Philip and John Blake (car 349) have won classic florio, taking out the title over David Currow and Colin Carati (car 371) by a margin of 6 minutes and 26 seconds. Blake snatched the lead after Mac and Marjorie Russell (car 522) had a mechanical on TS37, 10.8km into the stage. 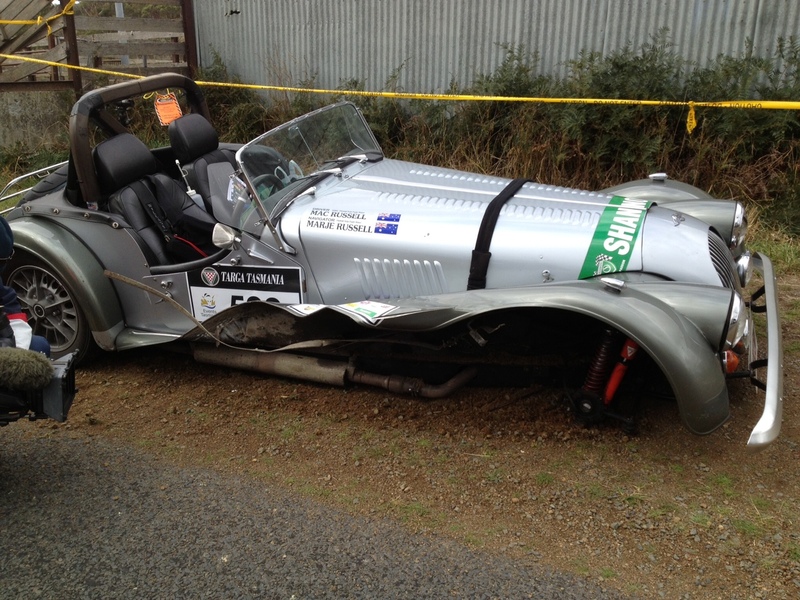 This was hard felt by the Russells, who made the trek all the way to Burnie overnight to do some repairs on the car before returning to Strahan this morning to commence the race. This entry was posted in Targa Live on 21/04/2013 at 2:37pm by TARGA LIVE.